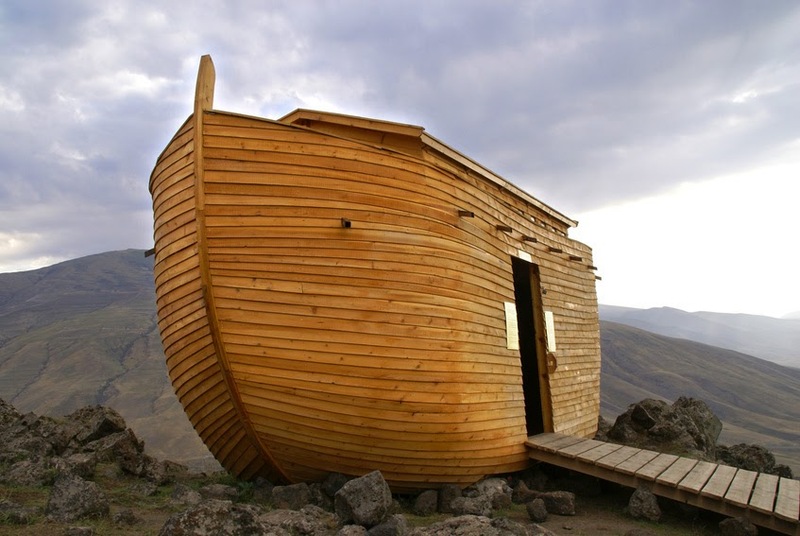 According to Genesis 6:15 of Holy Bible, God describes to Noah what should be length, breadth and height of the gaint ship ( Ark ) that he has to built inorder to accomodate and safeguard the pairs of all living creatures on earth from flood. ..This is how you are to build it: The ark is to be three hundred cubits long, fifty cubits wide and thirty cubits high..
Noah's Ark is about 450 feet long, 75 feet wide and 45 feet high. How long did the flood during Noah's period last? As per Genesis 7 & 8 , After 7 days from the day the door of Ark was shut, it started raining. it rained for 40 days and nights and for another 150 days the water prevailed on earth. So it was 190 days of flood. After that the ark grounded itself on top of Mount Ararat. Even though the flood lasted only for 190 days, the people and animals in the ark came of the ark after another 6 months ( 60 X 30 = 180 days). So the total number of days they spent on Ark was 377 days.